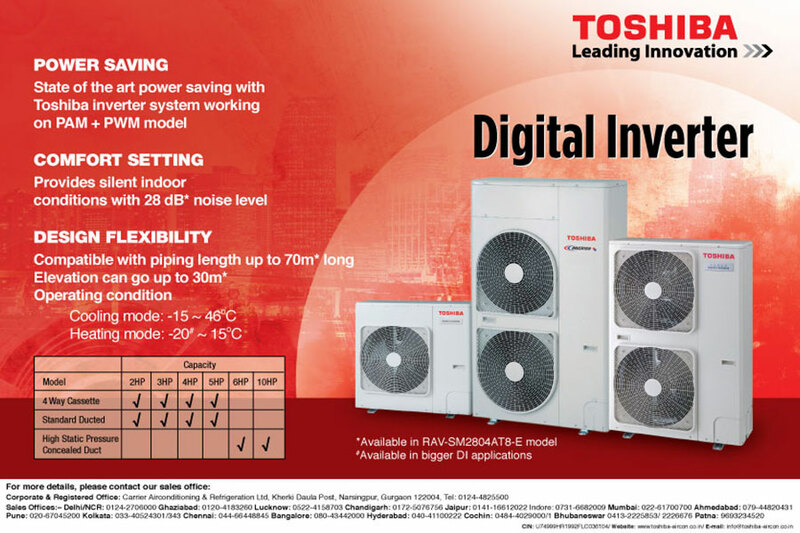 KAWASAKI, JAPAN, August 23, 2018 - Toshiba Carrier Corporation announced its establishment of Toshiba Carrier Air-Conditioning India Private Ltd., a joint venture with United Technologies Corporation, in Gurgaon, Haryana, India. 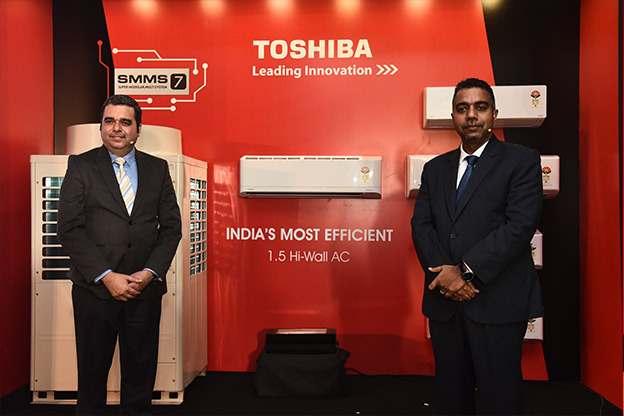 The new joint venture, established on August 14, 2018 and headquartered in the premises of Toshiba India Private Ltd., allows Toshiba Carrier to localize planning, development, manufacturing and sales of its commercial air-conditioning products, expanding its footprint in the country. 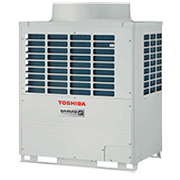 Toshiba Carrier is an air-conditioning joint venture in Japan between Toshiba Corporation and Carrier, which is a part of UTC Climate, Controls & Security, a unit of United Technologies Corporation (NYSE: UTX). The new joint venture was created to support strong demand for variable refrigerant flow (VRF) solutions. 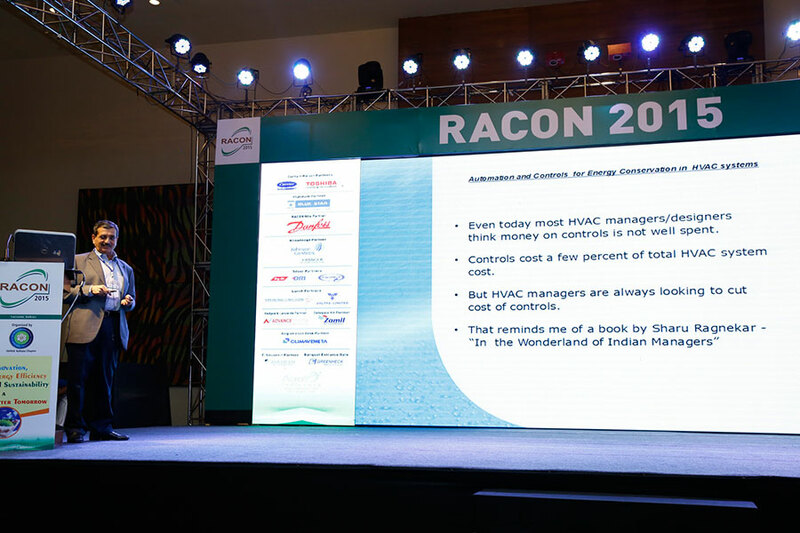 VRF is a form of commercial air-conditioning for applications such as office building and condominiums. 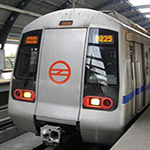 Driven by strong domestic demand from its population of approximately 1.3 billion, India is expected to continue a fast economic growth, as shown in its annual GDP growth at 7.4%*. 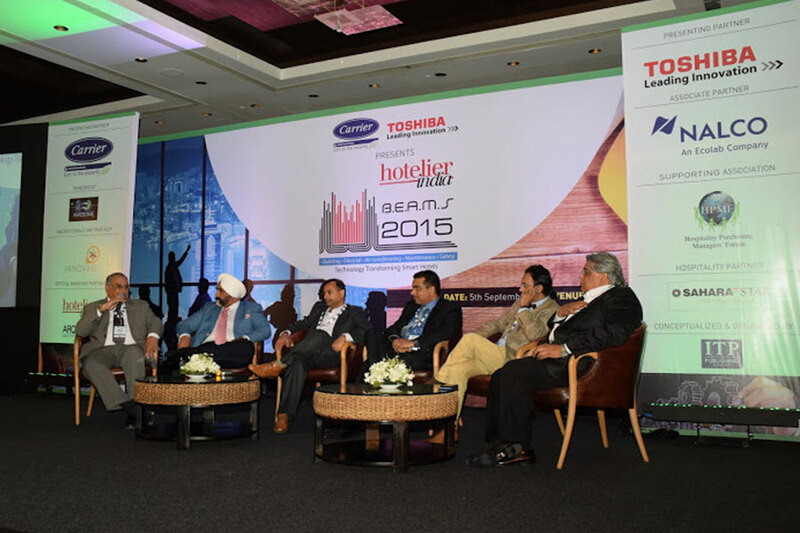 Toshiba Carrier Air-Conditioning India will benefit from the manufacturing operations of Carrier Airconditioning & Refrigeration Ltd., the Carrier entity in India. 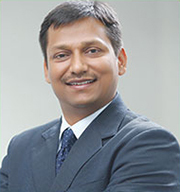 It will also utilize the robust nationwide distribution network and existing sales force, striving to lead the fast-growing VRF segment in India. 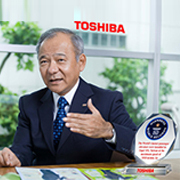 The establishment of the new joint venture is one of Toshiba Carrier’s initiatives with regard to new overseas operations for its commercial air-conditioning business, based on the memorandum of understanding that was signed in March 2015 between Toshiba Corporation and United Technologies Corporation. 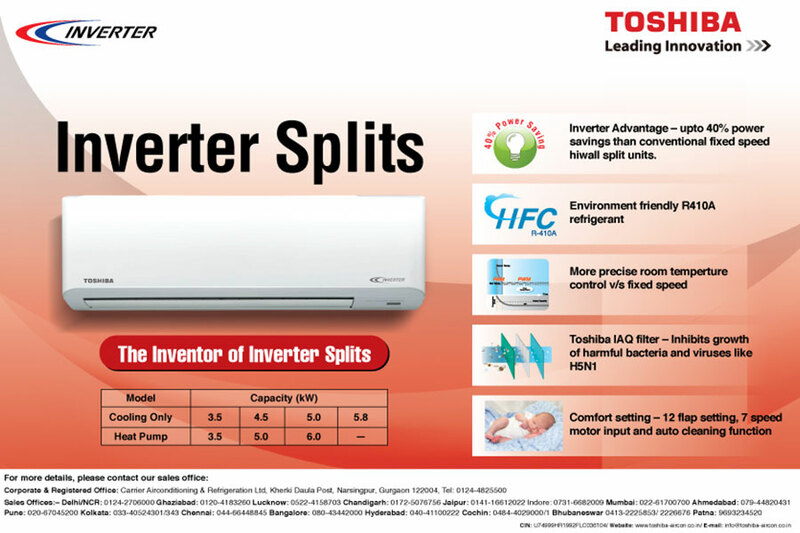 Toshiba Carrier is an air-conditioning joint venture in Japan formed in 1999 between Carrier and Toshiba Corporation, which has the majority ownership. 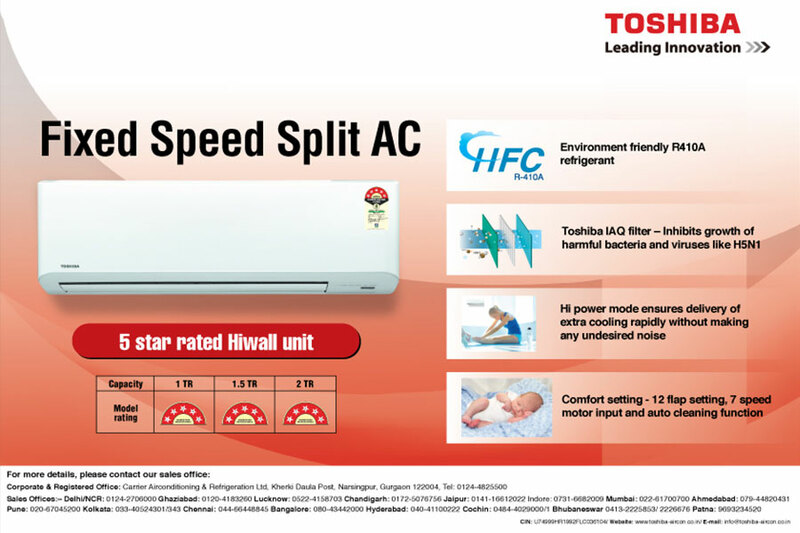 In its tireless pursuit of meeting market needs, Toshiba Carrier offers air-conditioning products and solutions based on its sophisticated technologies to the marketplace throughout the world in its robust alliance with Carrier. 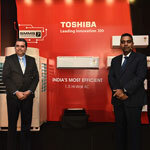 Name (Tentative) Toshiba Carrier Air-Conditioning India Private Ltd.
Carrier and Toshiba deliver on their commitment to provide high-efficiency products to customers with the introduction of India’s most energy efficient hi-wall unit with 1.5 ton capacity, which has an ISEER of 5.6. This hi-wall air conditioner reduces energy consumption by nearly 40 percent, as compared to a 3-star fixed speed airconditioner, and can save up to Rs. 50,000 over a period of five years. 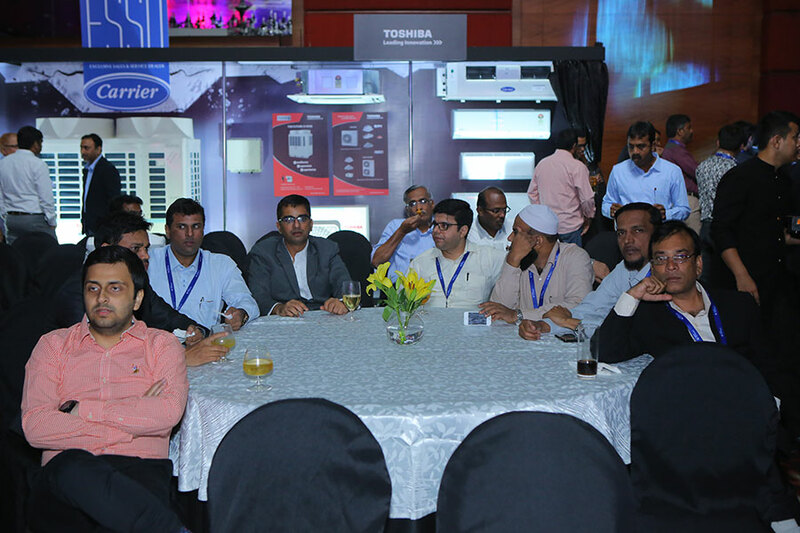 Toshiba’s SMMS-e VRF air conditioning system has won the top award, ACR Product of the Year, in the National ACR Awards 2016. The system delivers unrivalled energy efficiency, with all outdoor units exceeding 7 ESEER (European Seasonally Adjusted Energy Efficiency Rating), an industry first. 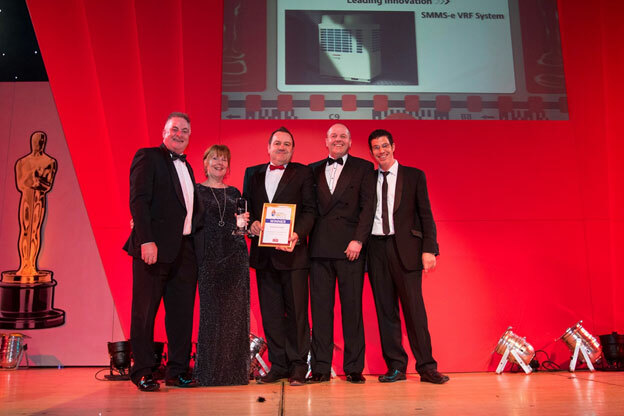 The Toshiba system was crowned with the accolade at the awards finals in Birmingham Town Hall, after coming out top against a field of other well known brands in this competitive category. Innovations in three core technologies – the compressor, heat exchanger and advanced intelligent control – combine to deliver outstanding efficiency and comfort for building occupants. 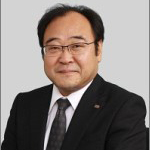 A key component is a new rotary compressor, developed and manufactured by Toshiba, which uses a two-stage compression process for improved efficiency and performance. Wear surfaces on compression vanes are treated with a high-tech Diamond-Like Carbon (DLC) coating, giving outstanding hardness, wear resistance and reliability. It enables a significant increase in compressor rotation speed, resulting in a higher displacement volume – up to 50per cent greater than for the previous generation of VRF systems. The enables a higher duty to be obtained from a smaller compressor, with less power. 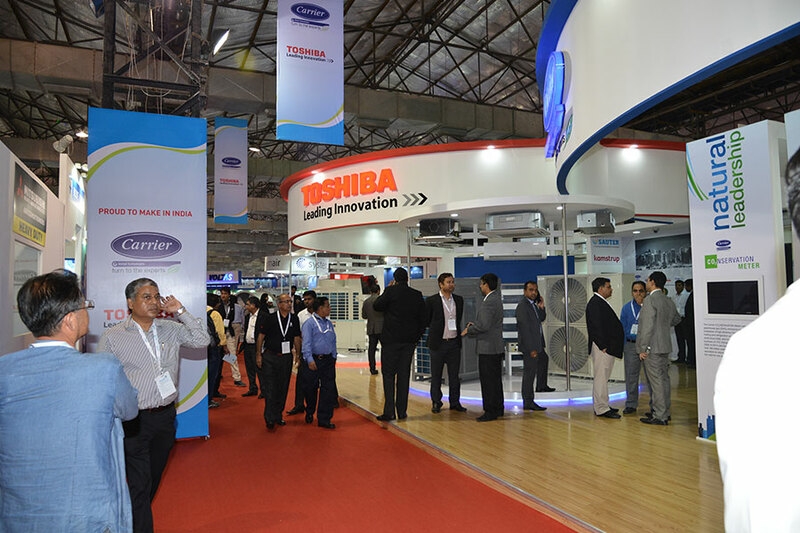 Tokyo - March 26, 2015 - Toshiba Corporation (Tokyo: 6502) and United Technologies Corporation (UTC) (NYSE: UTX) today announced plans to establish engineering centers in India, North America and Europe to support global innovation for heating, ventilating and air-conditioning (HVAC) products. 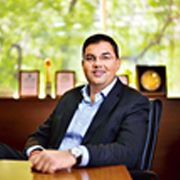 This cooperation is the first to result from the companies’ recent agreement to further strengthen their strategic collaboration through their joint venture, Toshiba Carrier Corporation (TCC).The plan will leverage Carrier’s global footprint, with new engineering centers expected in India, North America and Europe within the next five years. 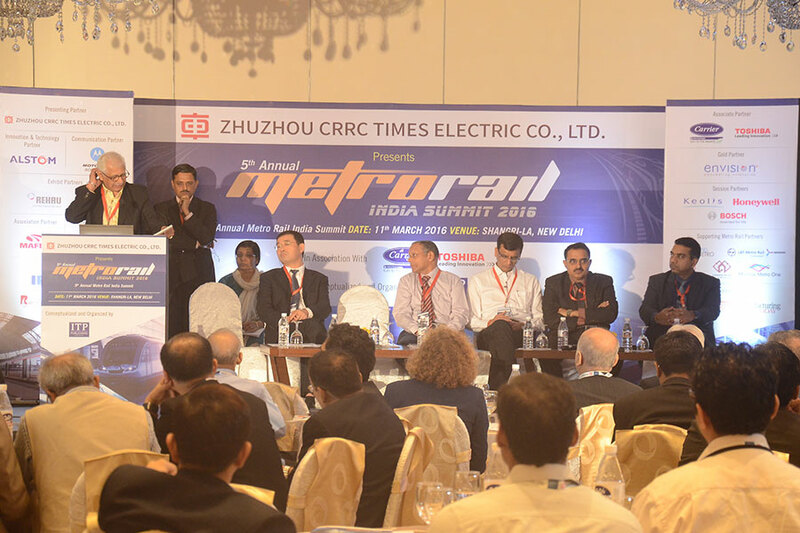 The two companies also agreed on plans to localize manufacturing in the same regions in a similar time frame. 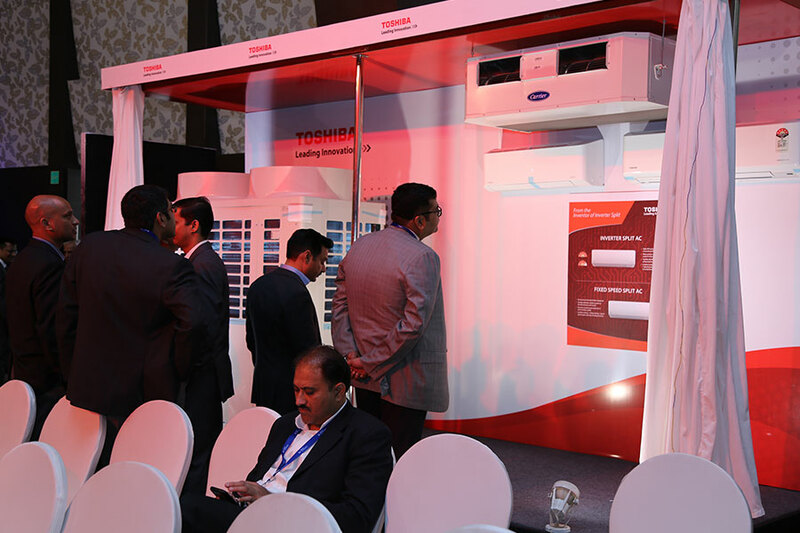 "I am delighted to see UTC and Toshiba proactively forwarding our strategic collaboration and shaping up plans in the HVAC field,” said Mr. Hisao Tanaka, CEO and President of Toshiba Corporation. 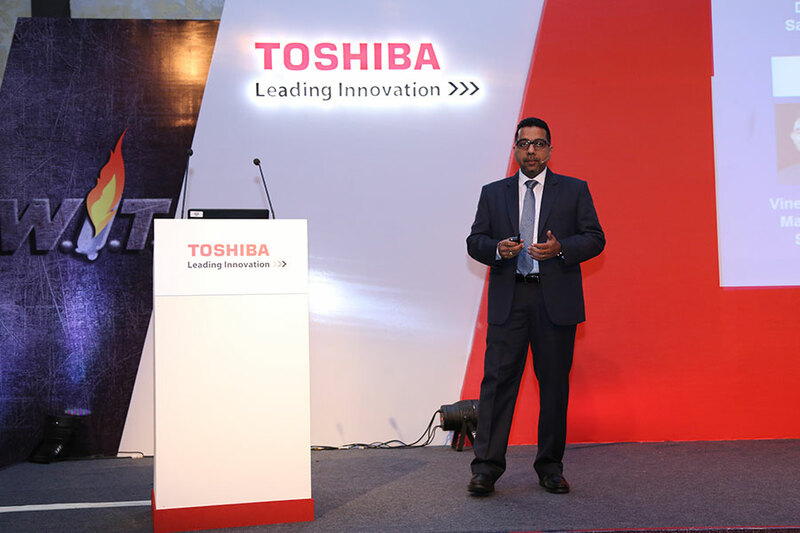 “The establishment of joint engineering centers and manufacturing will give Toshiba local product development, manufacturing and sales in key regions, which will increase our global footprint while allowing us to provide customers with greater value through localized solutions. 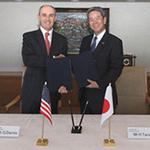 At Toshiba, our diverse capabilities range from devices to battery and inverter technologies, and I hope to see this collaboration in HVAC become an engine that drives future cooperation between Toshiba and UTC and further strengthen ties between us." 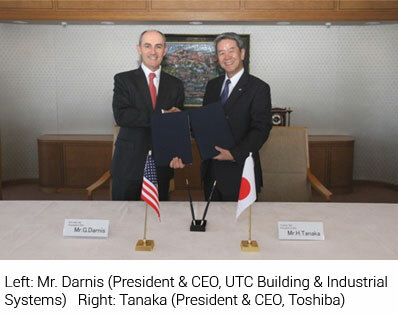 "This agreement is a milestone in the long and successful relationship between United Technologies and Toshiba," said Geraud Darnis, President and CEO, UTC Building & Industrial Systems. "Through our expanded collaboration, our joint venture is positioned to pioneer new, innovative and customized solutions for customers around the world." 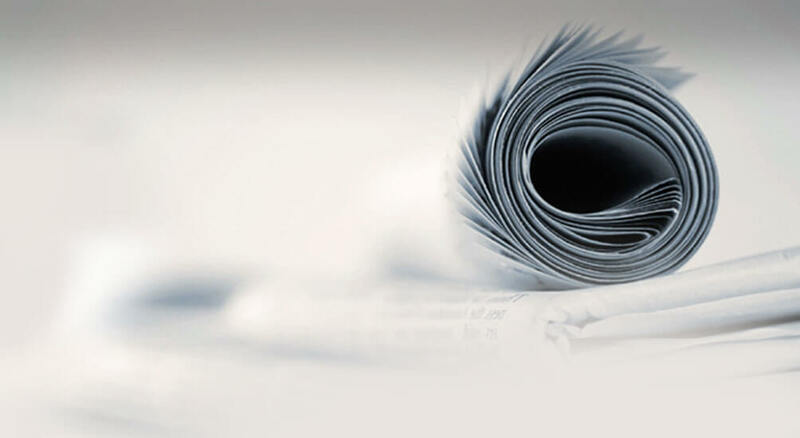 This press release contains forward-looking statements concerning future business opportunities. Actual results may differ materially from those projected as a result of certain risks and uncertainties, including but not limited to the effect of economic conditions in the markets in which we operate; levels of end market demand in construction and for heating, ventilating and air-conditioning solutions; challenges in the design, development, production and support of advanced technologies; as well as other risks and uncertainties, including but not limited to those detailed from time to time in Toshiba’s communications to investors and in UTC's Securities and Exchange Commission filings. 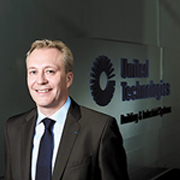 United Technologies Corp., based in Hartford, Connecticut, provides high technology products and services to the building and aerospace industries. Our businesses include Pratt & Whitney, Sikorsky, UTC Aerospace Systems and UTC Building & Industrial Systems. For more information, visit our website at www.utc.com or follow us on Twitter: @UTC.